Professional cycling has always had a bad reputation when it comes to performance-enhancing drugs, with rumors of all the top athletes in the game using these substances to gain an edge and an advantage well before Lance Armstrong was busted (alongside most every other prominent athlete in the sport). And while cycling has been leading the charge for a couple of years now to clean up the sport – and cleanup sport in general – they just can’t seem to get out of their own way as every time they make grounds on cleaning things up another of their prominent athletes is busted for using banned substances. Andre Cardoso is just the latest in a long string of professional cyclists to have been caught red handed using performance-enhancing drugs. Most recently cycling for the Trek-Segafredo professional team, this Portuguese athlete (just 34 years old) was one of the bright and shining stars of the sport in this new “post doping” era. According to the Union Cyclist International (UCI) organization based out of France, Cardoso was busted using blood boosting drugs known as EPOs to avoid detection the when taking anti-doping tests. Modern protocols and new, advanced testing solutions specifically look for these kinds of blood boosting agents to determine that an athlete is looking to pass off a dirty sample as a clean one – and that’s exactly how Cardoso was caught. In the summer of 2017 the athlete provided a sample to match up with is biometric passport, and by the end of the month (June 2017) the UCI had already determined that he was a doping and that a multi-year suspension was coming down the pipeline. 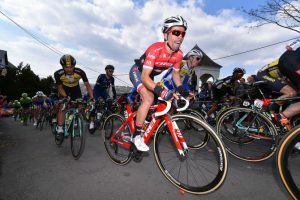 This was a pretty big blow to the career move that Cardoso was expecting to make that fall, as he was expecting to participate in his very first Tour de France – far and away the most prestigious and well-known cycling competition on the planet and an opportunity that could have propelled his career prospects into a new stratosphere. For his part (and like so many other cyclists before him), Cardoso has been adamant in his defense of never having used EPO or any other blood boosting agents/performance-enhancing drugs at any point in time during his career. He is already appealing his provisional suspension and have a sky high level of confidence that he is somehow going to have his suspension overturned. Interestingly enough, he has a fair to decent shot at having his suspension overturned if only because the secondary or “backup” sample – sometimes referred to as the “B Sample” – came back inconclusive for EPO and wasn’t able to confirm the positive results contained within the initial sample that had been provided. It appears as though doping control agents collected the urine sample according to the specific rules, regulations, and protocol necessary for a legitimate test, but then they decided (for reasons that have yet to be determined) to divide the sample into two different collections that could be tested separately. According to the rules and regulations outlined by the UCI (as well as those held up by most of the prominent anti-doping agencies around the world) multiple samples must be taken from the same container, conclusively proving that the testing wasn’t flawed and that zero contamination had happened. The appeal has been going on for just about 16 months now, and Cardoso continues to professed his innocence. He has been vocal regarding the fact that he is going to continue to fight this suspension every step of the way until his reputation is restored and he is vindicated, but the way things are going the suspension timeline may expire before any real movement is made on his appeal.